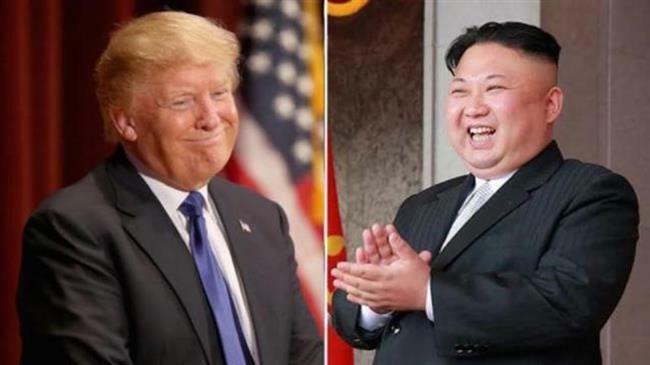 Washington(ANN)-US President Donald Trump has announced his meeting with North Korean leader Kim Jong-un will take place next month in Singapore. “The highly anticipated meeting between Kim Jong Un and myself will take place in Singapore on June 12th,” Trump tweeted on Thursday morning. “We will both try to make it a very special moment for World Peace!” he added. Trump revealed the location and date of the meeting hours after three American prisoners were released by North Korea and arrived back in the United States. The three US citizens were imprisoned for more than a year. Their release is said to have removed a source of diplomatic friction between Washington and Pyongyang ahead of the summit between the two leaders. US Secretary of State Mike Pompeo was on his second trip to North Korea on Wednesday in just over a month. He told North Korean officials that Washington will work with Pyongyang to establish peace on the Korean Peninsula. Last month, the North Korean leader agreed to a meeting with Trump after Pompeo, who was the CIA chief then, met with him secretively in Pyongyang. Washington and Pyongyang have no diplomatic relations. The US has imposed many rounds of sanctions on North Korea, has substantial military presence near the country, and has numerously threatened to invade it over its weapons programs. Trump has previously suggested the Demilitarized Zone separating North and South Korea would be the best place for the high-stakes summit, but American officials had asked him to hold the talks in a third country. Singapore has diplomatic relations with both the United States and North Korea. The US Deep State is attempting to frustrate Trump’s efforts to establish peace on the Korean peninsula, according to E. Michael Jones, an American political analyst in Indiana. Jones, a writer, former professor, media commentator and the current editor of the Culture Wars magazine, made the remarks in a phone interview with Press TV on Saturday.